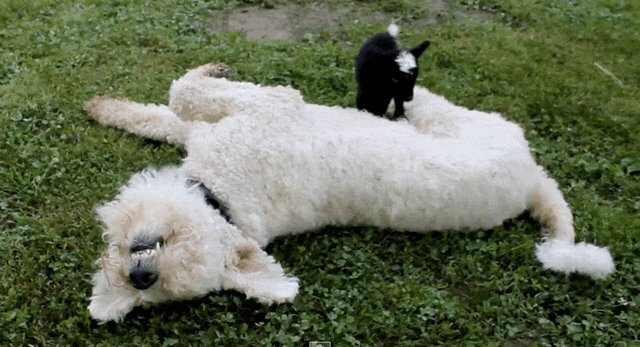 This baby goat may be little, but she's brave enough to try scrambling over her much bigger friend. 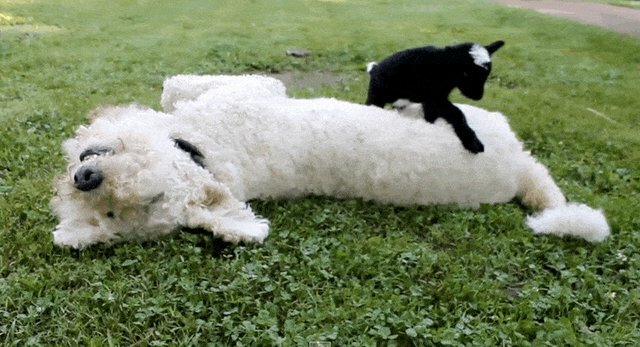 Watch her work up the courage to climb over this big, sleepy dog. "OK, here I go ... oh wait, this is pretty hard." Finally ... victory! 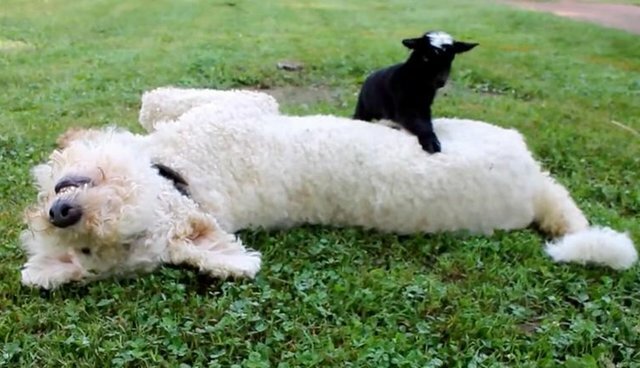 She's made it over Dog Mountain, and all without disturbing her big buddy's nap.